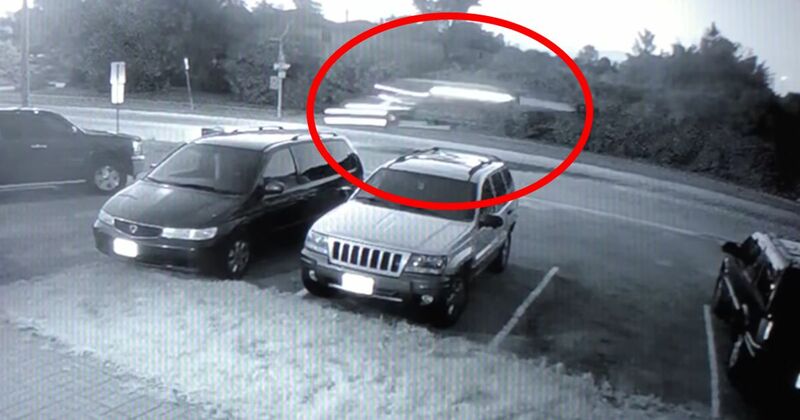 While it’s hard to make out on the CCTV footage above, the object you see flashing across the scene and landing in a shower of sparks is a Tesla Model S.
The driver hit the ramp leading up to a railway crossing on Little Avenue in Barrie, Ontario, apparently at double the speed limit, sending the EV airborne. After bouncing twice, the car crashed just out of frame in the car park of Assikinack Public School. The driver was arrested shortly after and charged with dangerous driving. “It may look ‘cool’ and like something from out of the movies, but in reality the action of this driver put many lives at risk, including his own,” Barrie Police said on Twitter.